A true honor, I made the character that would introduce Dragonage to the world! 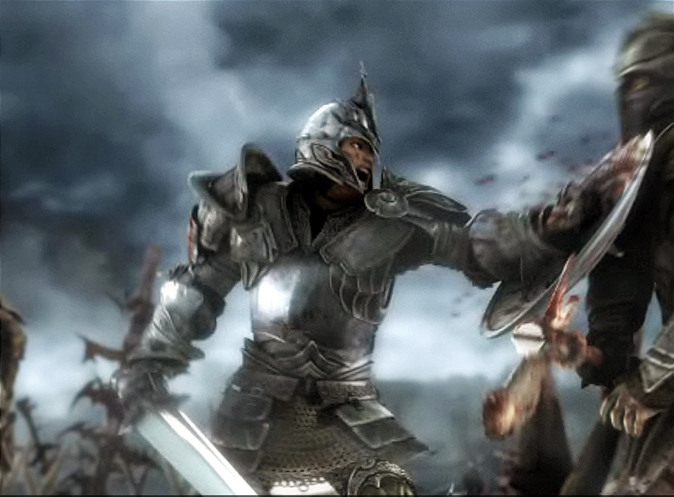 In the original cut, we would meet the Grey Warden at three stages of his life. I produced all three models, however in the final cut of the trailer, only the battle weary version was used. I made him in 3DSMax, building the clean cinematic model over the original normal map capture mesh of the armor provided by Bioware. He was surfaced in ZBrush. 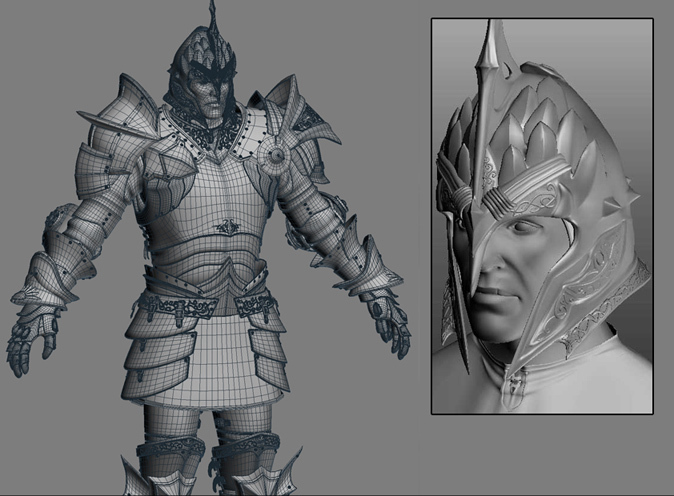 I rigged him with character studio and added some real-time armor physics using a few tricks my mate Paul Hormis (of Warcraft Cinematic Fame) showed to me when we where speakers at CGOverdrive. Apparently I have to shout him a pizza next time I am in Chicago.